Jake's Moving & Storage Will Help You Find a Storage Space For Your Residential or Commercial Needs! Need help finding the best storage space for your residential or commercial moving needs? Jake’s Moving and Storage free storage locator service can help! At Jake’s Moving and Storage, we are committed to helping you find the best possible storage unit so you can save time, money, and stress. Customers moving to or from Maryland, Washington D.C., Virginia, and surrounding areas will love our fast and friendly service, whether we are helping with residential moves, commercial moves, or finding other storage solutions. We take the guesswork out of moving and connect you with the best available storage space for your needs. What is Jake’s Storage Locator Service? Do you know you’ll need storage space for your upcoming move, but have no idea where to start looking? Our storage locator service is for you! Whether you need local VA storage for a move within the same city or state, or interstate storage for long distance moves, we’ll help you find the best company to keep your belongings safe. Jake’s Moving and Storage knows the most reliable and cost-effective local storage companies in your city, and our free storage consultation service helps you find the best company to meet your unique needs. Whether you are moving locally, relocating to a new state, or need storage space for any other purpose, our free consultation will help you find the best, most reliable storage space available. Why Choose Jake’s Storage Locator Service? 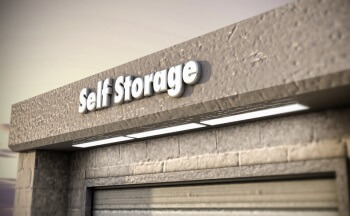 We are committed to helping you find affordable, convenient, secure storage space wherever you need it. We work with storage companies every day, and only recommend those with the safest facilities and most professional customer service. 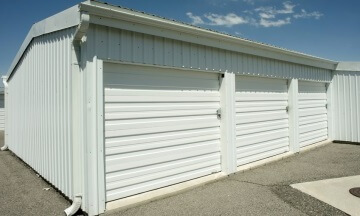 In addition, we will negotiate with any company we recommend to get you an excellent deal on your storage space. Ask for your free consultation today! We’ll find you the best storage available in Maryland, Washington D.C., Virginia, and surrounding areas, and our up front pricing means you’ll know exactly how much you’re paying for storage service. Even moving a short distance can be stressful—let Jake’s help! In addition to recommending storage solutions, our fast and friendly professional movers will make sure everything is safely, securely and efficiently transported. Our experienced packers will treat your belongings with the utmost care and make sure that they are fully protected. Trust Jake’s Moving and Storage to provide you with honest service, competitive prices, and an excellent moving experience. Moving to a different state, or even across the country? No problem! Our professional movers will help you pack up your belongings in your city of origin, or unpack once you arrive, anywhere in or around Maryland, Washington D.C., or Virginia. Regardless of where you’re going, our licensed, bonded, and insured company will find personalized solutions to meet your needs for interstate moves. Enjoy the peace of mind that comes from having the same friendly, honest, reliable company helping you pack, move, and store your belongings. We are available 24/7 to accommodate your busy schedule and deal with any issues that may arise. We’re not just local movers—we are a family-owned, full service moving company who provides a friendly, professional, personalized experience. Our commitment to fair, honest, and efficient service extends to everything we do for you. Next time you need help finding a storage company, call Jake’s Moving and Storage. You’ll be glad you did. Storage Locator Service https://jakesmoving.com/find-storage-space/ 4.7/5 based upon 7 reviews.